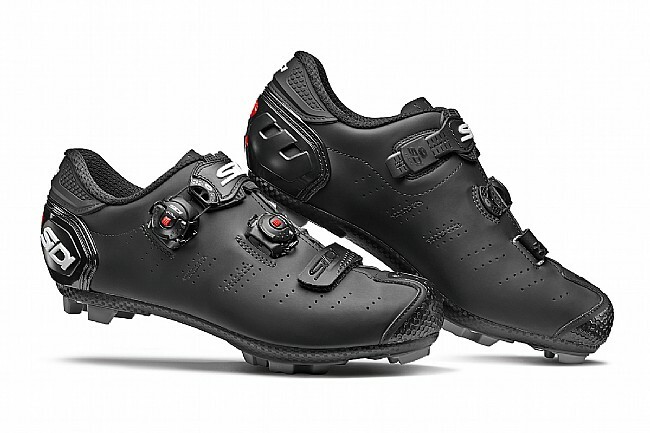 Sidi's Dragon 5 Mega MTB Shoe is 4mm wider across the ball of the foot, with more volume, a high instep, and a wider heel cup. The upper is made of eco-friendly, hydrophobic Techpro Microfiber while the outsole is constructed of carbon composite with spike-compatible SRS treads. Tecno - 3 Push System offers secure and comfortable retention. 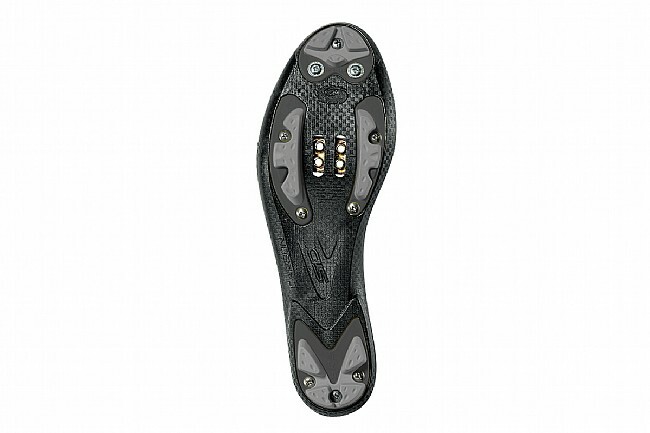 A small, flexible, and anatomically curved strap with thermo-formed EVA padding evenly distributes pressure across the instep. 4mm wider across ball of foot. More volume, high instep, and wider heel cup. 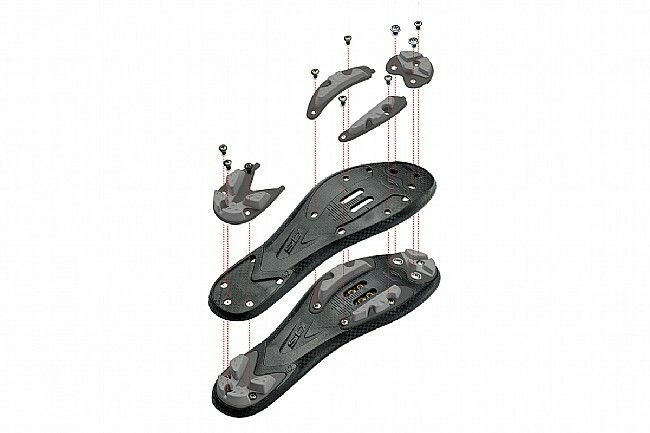 Carbon composite sole with SRS treads..